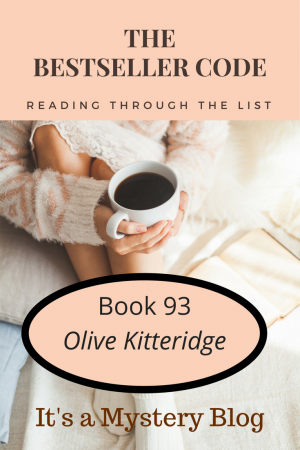 Time to start the discussion of our next novel from The Bestseller Code 100 list, Olive Kitteridge by Elizabeth Strout. This title won a Pulitzer Prize for fiction, and was the basis of an award-winning HBO mini-series. Book Blurb: Olive Kitteridge lives in the small town of Crosby, Maine, where she touches the lives of those around her and is also changed by their presence. To give you an idea what the book entails, check out this trailer from the HBO miniseries. Have you read Olive Kitteridge? We’d love to hear your thoughts! Have you written about Olive Kitteridge? Feel free to add a link to your review here.